It will take two and half years for custom-designed missile boats being built in Germany to arrive. Until then, the navy is not resting on its laurels regarding this strategic economic asset. 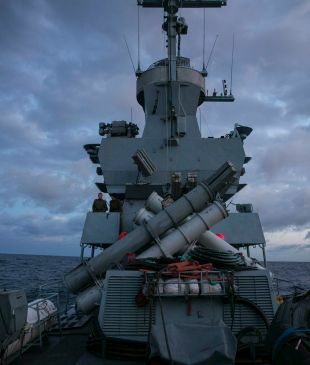 For the sailors serving on the Israel Navy’s missile corvettes, the latest revelations concerning the bid for purchasing drilling rig-protecting boats, associated with the procurement of new submarines, have brought about a surprising turn of events. 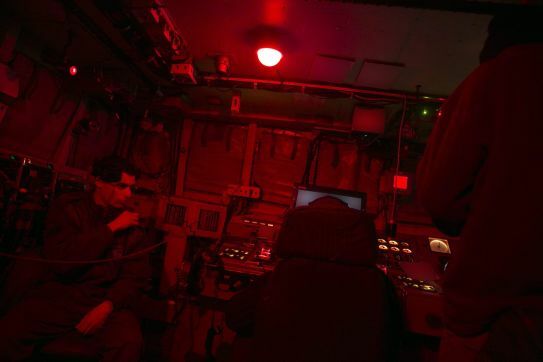 The combat mission of these seamen, which usually remains secretive and submerged, has become an open topic of conversation. “It’s not nice to read these stories, but at bottom it creates very high motivation. 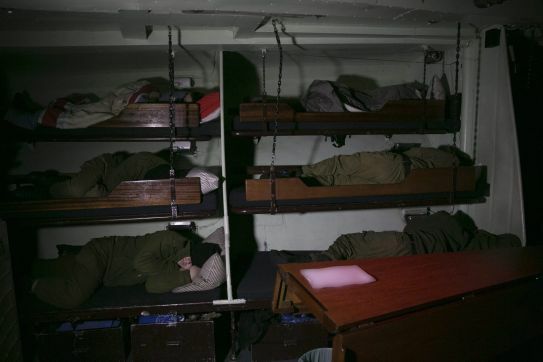 People want to serve on these boats,” said a naval officer on a visit by Haaretz to one such missile boat. These defensive vessels, called Sa’ar 6-class, will arrive from Germany not earlier than two and a half years from now. But the navy is not standing idle and is already conducting the mission for which the new boats have been purchased – namely the protection of drilling rigs located in international waters. Three hours sailing time (in stormy weather) from the coast there is a drilling platform-vessel called Atwood, which is due to become one of the largest drilling platforms in the world when it starts extracting natural gas. 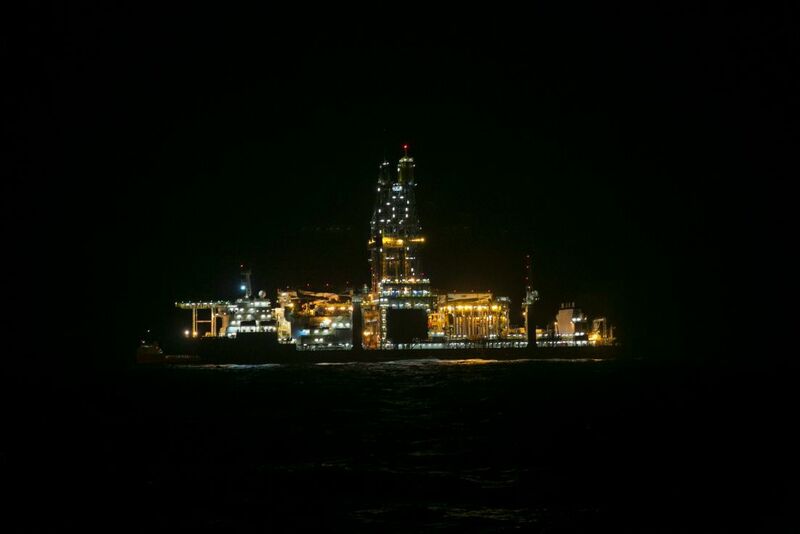 The floating platform was put there last October, dozens of miles west of Haifa, for the purpose of drilling in the Tamar 8 gas field. 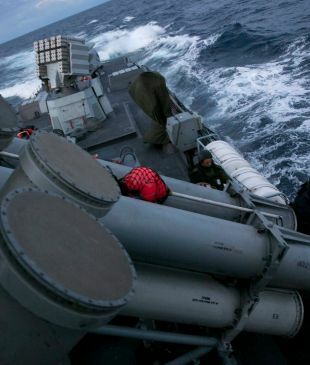 Col. Ziv Rom, the commander of the navy’s missile boat flotilla, was thereby assigned one more task, that of protecting the platform from possible missile attack. Performing this duty is one of the navy’s 11 missile corvettes. Three of these are Sa’ar 5-class corvettes, which also serve as command vessels, purchased in the 1990s from the United States. The rest are smaller boats, the Saar 4.5-class, which were built by Israel Shipyards and transferred to the navy in the 1990s and the 2000s. 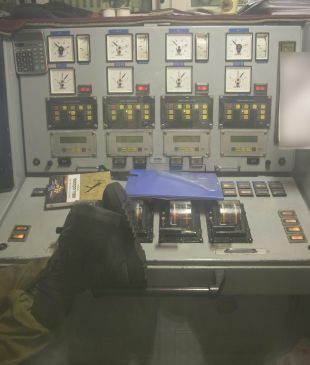 Just before reaching the platform, the commander of missile boat INS (Israel Naval Ship) Herev, Major Tzahi, gives instructions to his men. 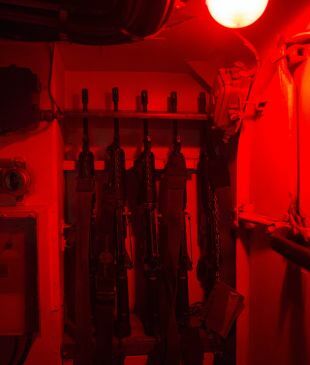 “We’re carrying out an audible [non-silent] patrol while showing our flag here,” he tells his sailors. The presence of Haaretz correspondents is part of this show. A few miles before reaching the Atwood, contact is made with the private guards on the platform, asking them if all is well. A few minutes later, they call back regarding something that may require attention. They report that for some days there has been a merchant vessel standing nearby, flying a Bahamas flag. 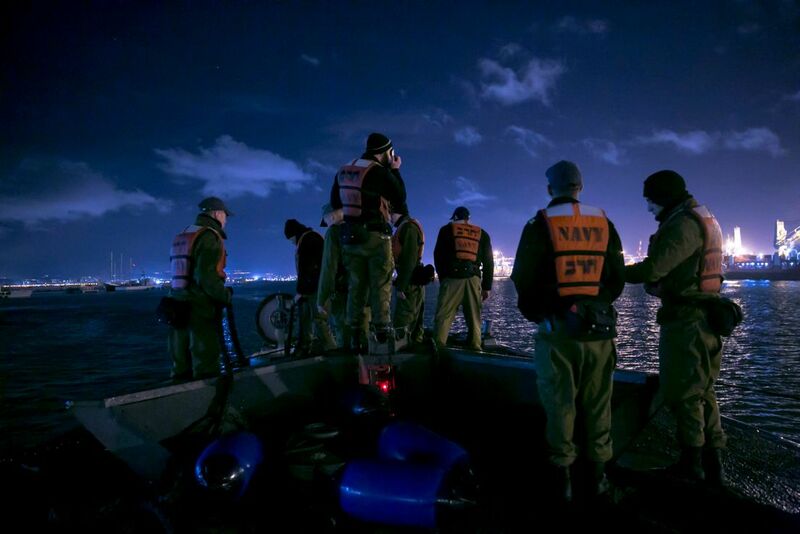 A short inquiry establishes that its crew prefer remaining in international waters for a few extra days since it is not profitable for them to immediately unload their cargo in Haifa. They say that they are waiting for further instructions from their operators. The operators of another boat coming from Beirut are also questioned by naval personnel, before being allowed to continue on their way. This mixed mode of operations, in which a military force is protecting a private asset with vital economic value, is acknowledged by naval officers. Despite criticism implying that the Israel Defense Forces is operating as the [tycoon Yitzhak] Tshuva Defense Forces, they believe that this mission is of vital strategic importance. At the time of sailing, two other corvettes are present near the northern marine border. 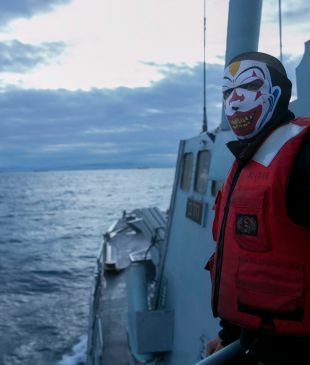 The navy dramatically increased its operations in this area with the outbreak of the Syrian civil war and the placement of numerous foreign troops there. 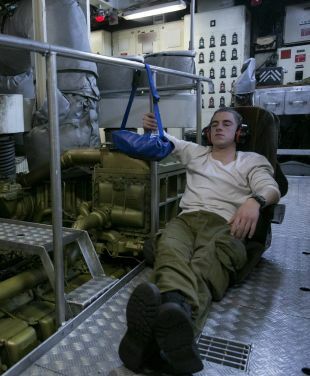 On some days, sailors can spot warplanes dropping bombs in that blood-soaked war. In the meantime, a naval team is in Germany, working at the ThyssenKrupp shipyards in preparing the new vessels. The corvette flotilla is updated every few months regarding progress being made, with the intent of receiving the boats in 2019. The navy would have liked to see this happen earlier.